I just found a bunch of files that could be safely deleted. 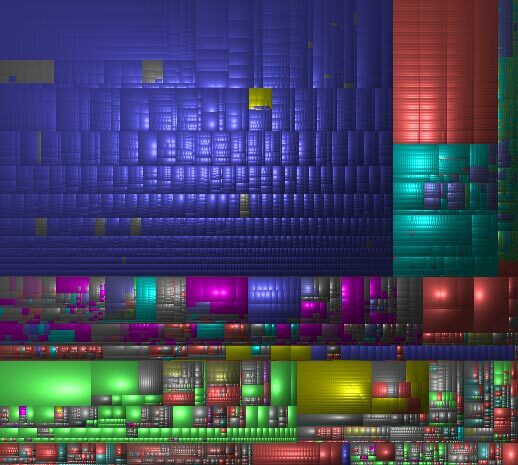 This is the graphic of my disk usage pattern. I reclaimed up over 7GB of disk space – a lot of it in caches, old mailboxes that I had moved, and more. The WhatSize application was especially helpful, since it basically gives you exactly what you want – a sorted list of each folder on your hard drive, sorted by size of the contents, and lets you drill down and see exactly which file(s) are taking up so much space on your system. Highly recommended! Read all the tips here. Check this out – neat cellist playing a lot of different parts all at once. You scored as Millennium Falcon (Star Wars). The world around you is at war. Fortunately you know how to handle that with the greatest of ease. You are one of the best at what you do and no one needs to tell you that. Now if only the droids could be quiet for five seconds. Disregard the dubious spammy-looking presentation of the links in this awesome resource full of design patterns for all kinds of interaction situations. This has some freaking sweet content. Ethnio makes usability testing easy, quick, and accurate. Ethnio is a simple moderated usability application that allows you to easily conduct usability test sessions right from your desk or anywhere you have an internet connection and a phone. It’s made by usability people, for anyone interested in conducting their own remote usability studies. … but not cheap: $2,000 – $6,000 per month! * Plan for Ajax from the start. * Implement Ajax at the end. If you build your Ajax apps like that, you can have a Web 2.0 app and a Web 1.0 website, as recently tested by Chad Dickerson. He ran two Ajax apps (Gmail and Backpackit) through Lynx, the text-based browser. Gmail fails miserably, Backpackit works just fine. 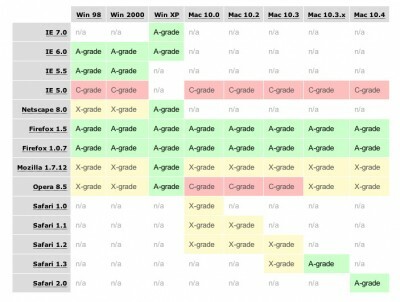 This table shows the grade of support that each browser receives. For more information, see Graded Browser Support.